Twenty years after setting out to fight in the Trojan War, Odysseus is yet to return home to Ithaca. His household is in disarray: a horde of over 100 disorderly and arrogant suitors are vying to claim Odysseus' wife Penelope, and his young son Telemachus is powerless to stop them. Meanwhile, Odysseus is driven beyond the limits of the known world, encountering countless divine and earthly challenges. But Odysseus is "of many wiles" and his cunning and bravery eventually lead him home, to reclaim both his family and his kingdom. 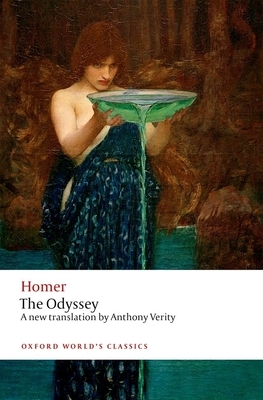 Homer's Odyssey rivals the Iliad as the greatest poem of Western culture and is perhaps the most influential text of classical literature. This elegant and compelling new translation is accompanied by a full introduction and notes that guide the reader in understanding the poem and the many different contexts in which it was performed and read. Anthony Verity is a classical scholar and educationalist whose appointments include Head of Classics at Bristol Grammar School, Headmaster of Leeds Grammar School, and Master of Dulwich College from 1986 to 1995. His translations for Oxford World's Classics include Theocritus, Idylls, Pindar, The Complete Odes, and the Iliad. William Allan is McConnell Laing Fellow and Tutor in Classical Languages and Literature at University College, Oxford. His previous publications include The Andromache and Euripidean Tragedy (2000), Euripides: The Children of Heracles (2001), Euripides: Medea (2002), Euripides: Helen (2008), Homer: The Iliad (2012), and Classical Literature: A Very Short Introduction (2014).